Nora Young .... Artist | Video news …. Go to the Film work tab to view work shown recently at Chi Art at Pallant House …. 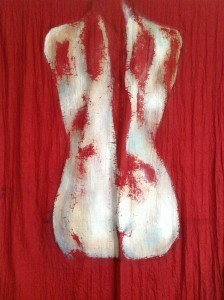 The piece of silk flying in the film then became the ground for this painting.